Take a Survey, Win a $150 Amazon Gift Certificate! How would you like to win a $150 Amazon gift card just in time for the holiday season? Cañada College wants to hear from you. We'd like to invite you to participate in a survey about how you use the media and spend your time. Your participation in the survey will help the college with our future communication efforts. The college has hired Interact Communications to conduct the survey. It asks questions such as "what is your favorite radio station," and "what web sites do you visit". All responses are confidential. Your name will not be connected with your answers. 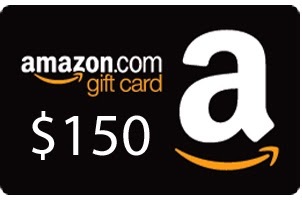 If you decide to enter the drawing for a $150 Amazon gift card you will be directed to a different web site to leave your personal information. We are surveying both students and the larger San Mateo County community. The online survey takes about 15 minutes to complete. If you are a current student and would like to help the college by participating in this survey please go to http://www.interactresearch.com/mp23/. Enter the password - college. If you are a community member, go to http://wwwinteractresearch.com/mpc23/. Enter the password - college. So far, we've had more than 250 students complete the survey and 150 community members. We thank you for taking the time to help us with this project.